"Manatee Shirts" was one of three GEICO commercials among SHOOT's Top Ten most viewed videos of 2018. Sea Shepherd's "Stop The Plastic Ocean" PSA was SHOOT's fifth most watched video of 2018. American Family Insurance's "Road Trip" finished ninth in SHOOT's most watched video derby for 2018. 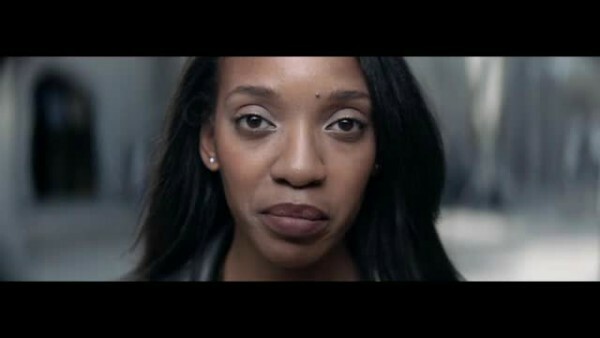 A scene from a Veterans for Gun Reform PSA, the video which generated the most SHOOT views in 2018. Stirring public service fare, comedy and GEICO were prevalent in the 10 most viewed SHOOT videos of 2018. Also included in the mix were a music video benefiting Jamaican bobsledders, a feel-good commercial for the Columbus Zoo and Aquarium, and a Nike spot in the continuing “Just Do It” campaign. The second most viewed SHOOT video of 2018 was the first of three GEICO comedy commercials from The Martin Agency in our Top Ten. In “Manatee Shirts,” a family discovers that manatees at the aquarium happen to share a peculiar fashion sense--they’re all wearing novelty t-shirts. While that may be surprising, saving money with GEICO insurance is hardly a surprise. Steve Miller of RadicalMedia directed “Manatee Shirts”--the latest iteration of GEICO’s “It’s Not Surprising” campaign. The manatees in this spot were all CGI created by The Mill NY. Taking third place in our rundown was a GEICO commercial that tapped into the martial arts. We see a man on a front lawn of a house, chopping wood with his hands and feet. His wife is nearby, positioning each piece of wood on a block for her spouse. A passerby wonders what’s going on. They explain that karate relieves the stress of home buying. The passerby offers some solace in that at least they don’t have to worry about home insurance thanks to GEICO. “Karate” was directed by Harold Einstein of production house Dummy. Finishing fourth was GEICO’s “Turnpike,” also directed by RadicalMedia’s Miller. This ad finds the Father of our Country, George Washington, and his Continental Army suffering from a mix-up in directions. Instead of their famed crossing of the Delaware, they instead are in a boat crossing the Delaware Turnpike, backing up traffic much to the chagrin of commuters. This change in history is “surprising.” However, not surprising is GEICO being able to offer savings on auto insurance. Occupying the fifth slot is another PSA, this one for international non-profit marine conservation organization Sea Shepherd from agency FF New York. The “Plastic Ocean” campaign includes this video directed by Geoff Bailey of Alkemy X which is dreamlike and colorful at first glance but highlights the plight of sea animals trapped in plastic waste. Various animals, including a dolphin and a shark, try to break through the surface of a plastic sea but to no avail. All we see are their shapes encased in plastic, unable to emerge from the ocean. Entitled “Stop The Plastic Ocean,” the fully CG-animated piece is a heart-wrenching depiction of how plastic debris traumatically affects our marine wildlife, revealing that every year more than 1 million animals die from these man-made pollutants. A Sandy Hook PSA directed by Henry-Alex Rubin of Smuggler for BBDO NY took sixth place in the 2018 video views derby. The piece--which promotes Sandy Hook’s Say Something Anonymous Reporting System initiative--introduces us to a student who talks about the warning sides of violence being ignored. It turns out he is one of those ignored as the camera reveals he’s surrounded by a cache of weapons. Earning seventh place was Nike’s “Voice of Belief” from Wieden+Kennedy in Portland, Ore. The “Just Do It” film features Serena Williams, telling her story from modest beginnings in Compton, Calif., to athletic supremacy as we see her at Center Court at the U.S. Open. Taking the eighth slot in our rundown was a feel-good spot for the Columbus Zoo and Aquarium from Ron Foth Advertising in Columbus, Ohio. The commercial shows us how animals can bring people closer together. In this case, the people coming together are two friends who happen to have Down syndrome and their real-life moms sharing an amazing day at the zoo. Creative director Ron Foth, Jr., also directed the ad. Rounding out our Top Ten of most watched videos this past year was the Jamaica Bobsled Foundation’s “Run The Track,” a music video featuring Jamaican dance hall crew Ravers Clavers who choreographed and performed a new dance called the Bobsled Slide. Christopher Lynch of MISTER LYNCH directed the music video which was driven by a Jamaican Bobsled Foundation officially sanctioned song designed to raise funds and awareness to benefit the ultimate underdogs--the athletes who compete in the sport of bobsledding and skeleton in the Winter Olympics for the country of Jamaica. Teaming with the Foundation to create the track and companion video was music supervision company Groove Guild. Of the 10 most viewed SHOOT videos in 2016, three were Top Spots of the Week and one came from The Best Work You May Never See gallery. The latter was a VR piece for Greenpeace.